This amazingly colored bird is the National bird of Nicaragua. The racket tail is the dead give away with only other species of Motmot possibly giving some chance of mis-identification. 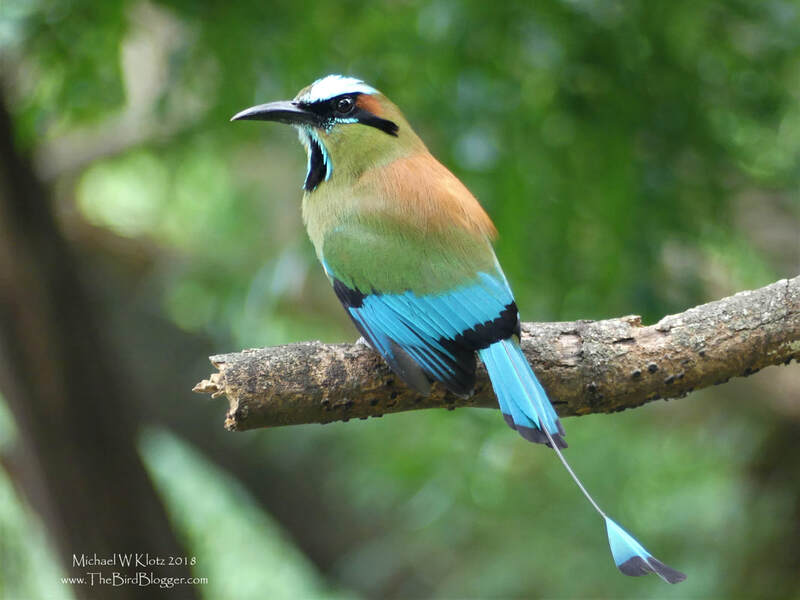 The motmot is named for the sound that it makes while sitting waiting for its dinner. This bird was with a mate moving from perch to perch after flying out to collect an insect on the wing. This was particularly close to the laguna, but they are found almost everywhere in the country. This particular bird is missing one of its "racket" feathers as the motmots typically have two. These are linked to communication and mating. The tailed is typically wagged in a pendulum fashion when predators are near earning its name in come areas as the "clock bird."